Keyhole Inset Mock Neck Leotard will bring a touch of sophisticated glamour to any ballet class. Featuring luxurious diamond lace keyhole insets on the neck and chest as well as a deep keyhole opening in the back, this leotard is designed with Motionwear’s signature Silkskyn Luxe (91% Nylon, 9% Spandex) for ultimate comfort and flexibility. 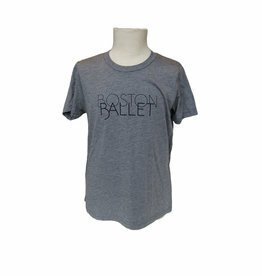 Complete with a mock neck and a full front liner, this slimming, cap sleeve leotard features the Boston Ballet School logo on the back waistline. Available in Sea Stone and Black.